Zurich, Switzerland, January 12, 2015 - ABB, the leading power and automation technology group, successfully commissioned a high-voltage direct current (HVDC) link between Norway and Denmark to increase availability of renewable hydroelectric and wind power in the region's electricity grid. At 500 kilovolts (kV), the Skagerrak 4 link sets a new record in transmission voltage using Voltage Source Converters (VSC). The converters rely on semiconductors to convert electricity from high-voltage alternating current to direct current and back, while offering controllability and compact design. This HVDC Light link reinforces the grid owned by Norwegian transmission system operator Statnett and Denmark's Energinet.dk and helps balance loads between Norway's hydroelectric-based system and Denmark's wind- and thermal-based generation. 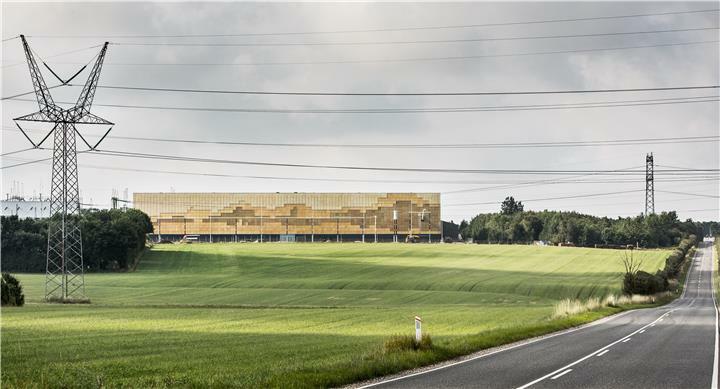 "ABB pioneered the HVDC technology and continues innovating as it is uniquely positioned in the industry with in-house manufacturing for all key HVDC components, including power semiconductors, converters, converter transformers and high-voltage cables," said Claudio Facchin, head of ABB's Power Systems division. ABB has delivered all four of the Skagerrak system's links, with Skagerrak 1 and 2 in the 1970s, Skagerrak 3 in 1993 and now this latest project. The system spans 240 kilometers and crosses the North Sea's Skagerrak Strait, providing 1,700 megawatts of transmission capacity. For Skagerrak 4, ABB delivered two 700-megawatt Voltage Source Converter stations based on the company's HVDC Light® technology. The new link operates in bipolar mode with the Skagerrak 3 link that uses classic Line Commutated Converter HVDC technology. This is the first time the two technologies have been connected in such a bipole arrangement. ABB's advanced MACH control system was used to master the different ways power reversal is handled between the two technologies. In the future, use of 500 kilovolt VSC converters opens up new possibilities, especially when combined with ABB's recently launched extruded 525 kV HVDC cable. The world record cable, which doubles power flow and extends range to enable greater integration of distant renewables, reflects ABB's commitment to leading the development and use of HVDC technology. ABB pioneered HVDC transmission technology 60 years ago and has been awarded about 100 HVDC projects, representing a total installed capacity of more than 120,000 megawatts and accounting for about half of the global installed base. ABB developed the HVDC technology further in the 1990s and named it HVDC Light®. ABB's HVDC Light® leads the way in VSC technology and with Skagerrak 4, ABB has delivered 15 of the 16 such projects commissioned around the world.